A company that performs reference checking for organizations is seeking colleges and universities to participate in the third phase of a pilot program that will assess, measure and verify student competencies. The "Career Readiness Project," which runs on software from SkillSurvey, is currently working with 40 schools during a second phase. Now it's taking candidate institutions for a third phase that will start next spring. 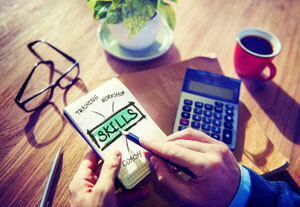 SkillSurvey is working on the project with the National Association of Colleges and Employers (NACE). Students invite their supervisors, mentors and co-workers to evaluate their job performance in a rating process that the company said takes less than eight minutes. Then the program produces an individual competency report for each participant, to show progress and career-readiness comparisons against the ratings of almost 100,000 entry-level job candidates across various industries. SkillSurvey has created 16 post-work surveys to capture information about work experiences in a way that align with the NACE competencies. One institution, Clemson University, joined the pilot after researching ways to enable students to "obtain feedback from supervisors, co-workers, faculty and teammates regarding their career readiness," said Kathy Horner, associate director of analytics and initiatives, in a statement. The school already used the reference-checking system for its employment decisions and considered the program an "efficient way to aggregate student data mapped to critical competencies." She added that "a bonus" was how the survey instrument standardized data collection "but still allows us to ask some customized questions key to the Clemson experience." Participant Babson College joined the pilot in order to "amplify and focus" its efforts in developing career-ready graduates "on the skills and competencies that are key differentiators for college students entering the workforce," according to Donna Sosnowski, director of the Undergraduate Center for Career Development. At the Washington Center, which provides internships and academic seminars to students from colleges and universities all around the world, participation in the pilot has allowed the organization to provide its interns "with a rich report on their development" and to benchmark their individual "career readiness using real employer data," said Managing Director Sherrod Williams. That capability provides "a powerful value proposition for our students and institutional partners," she added. Campuses interested in joining the next phase of the pilot program can apply through a form on the Career Readiness Project website.